Today we are reflecting on our amazing events of last weekend. 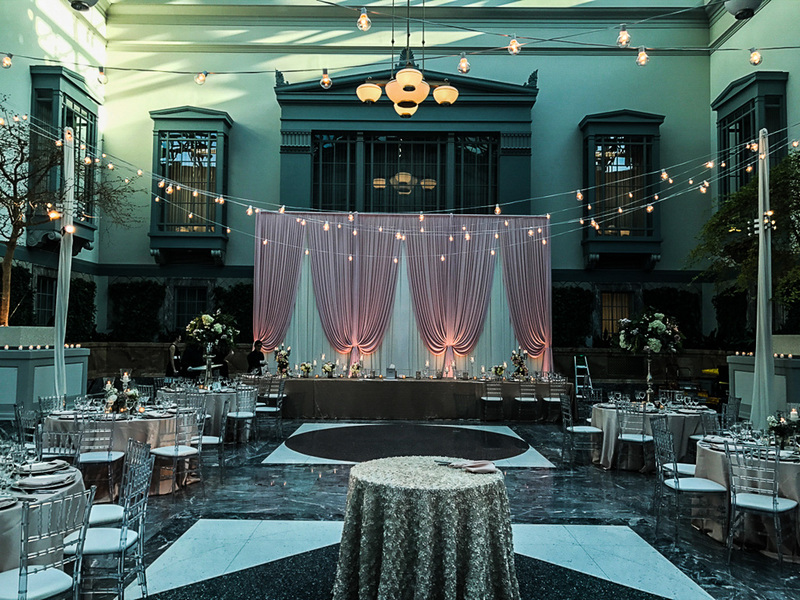 An ivory fabric reception backdrop with blush pink front swags and soft uplighting was perfect for this Spring wedding. 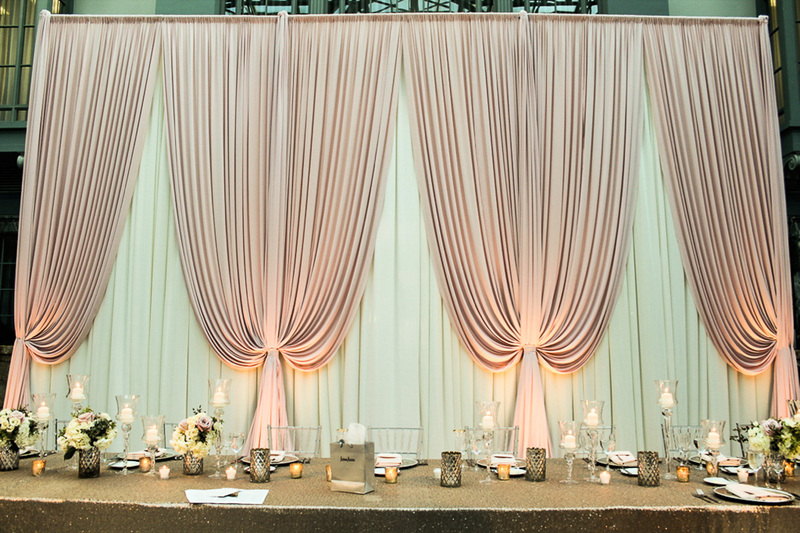 Pin beam lighting accentuated Fleur‘s gorgeous table centerpieces. 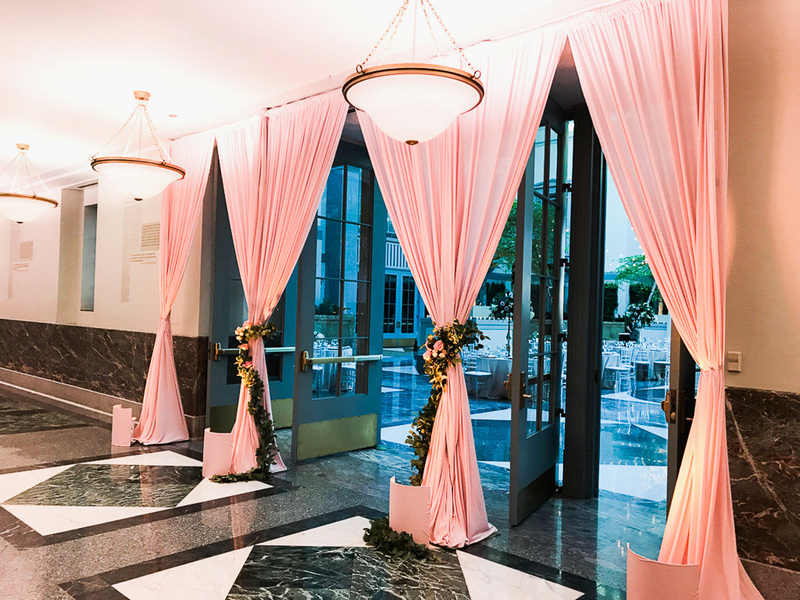 Blush pink entrance draping welcomed guests into this stunning space. 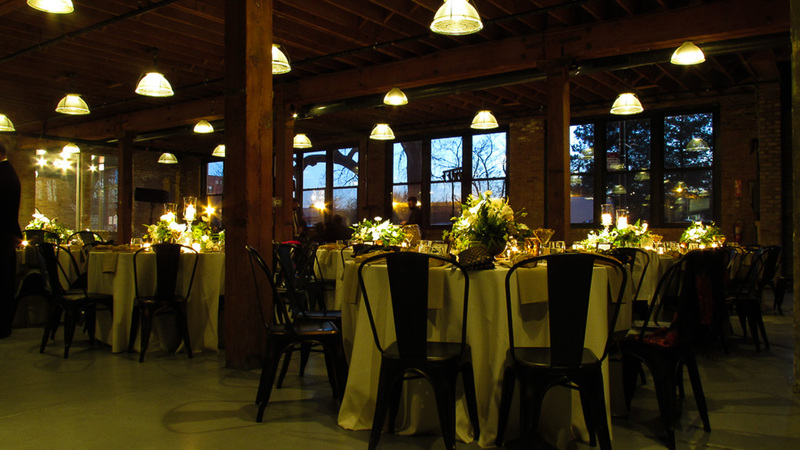 A huge thank you to our friends at Fleur for letting EEL Chicago be a part of this wedding! 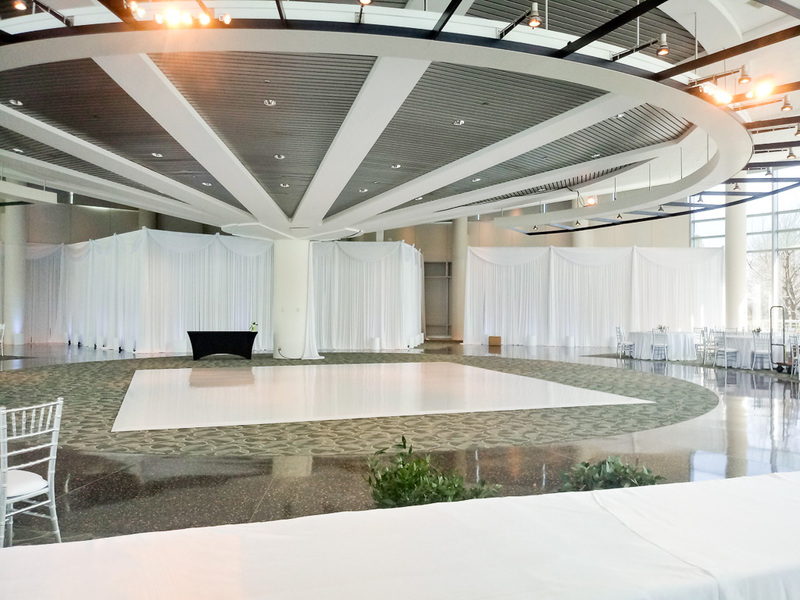 White draping & a seamless white dance floor cover looked great for this elegant wedding. 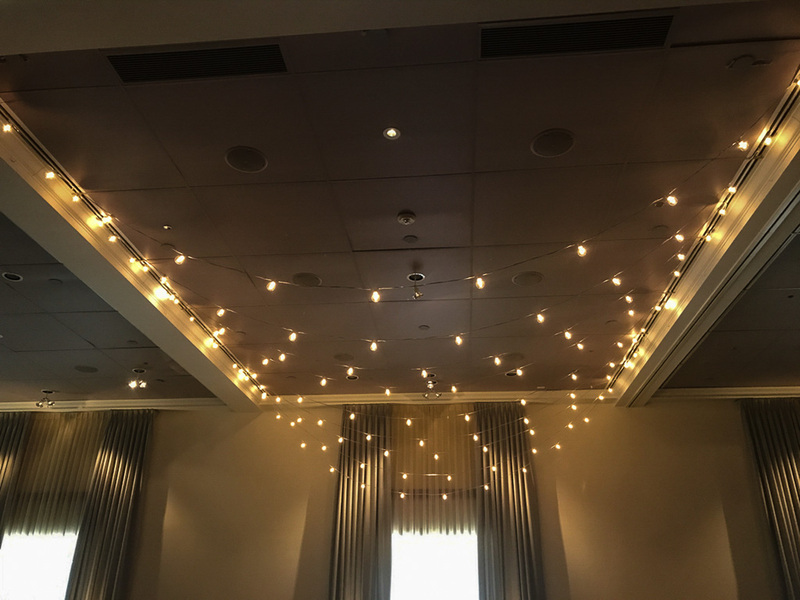 Uplighting illuminated a rustic ceremony Chuppah. 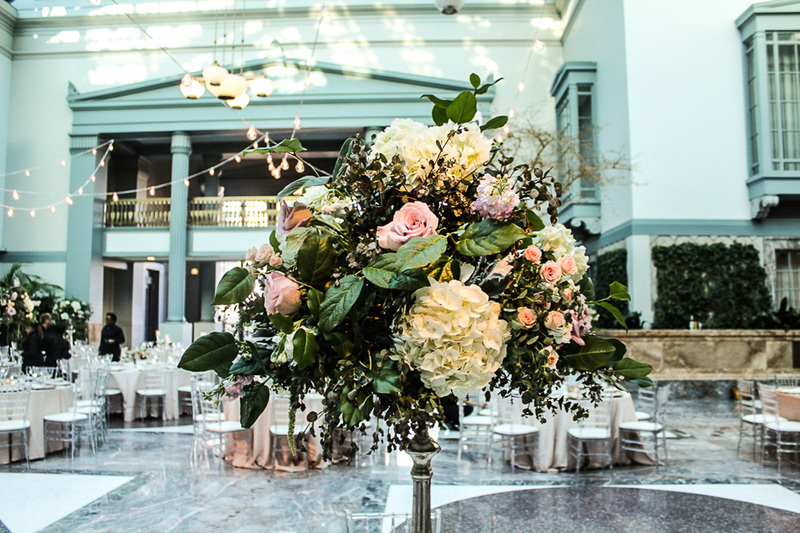 In a warm romantic space, flower lighting was the perfect way to accentuate table centerpieces for the wedding reception. 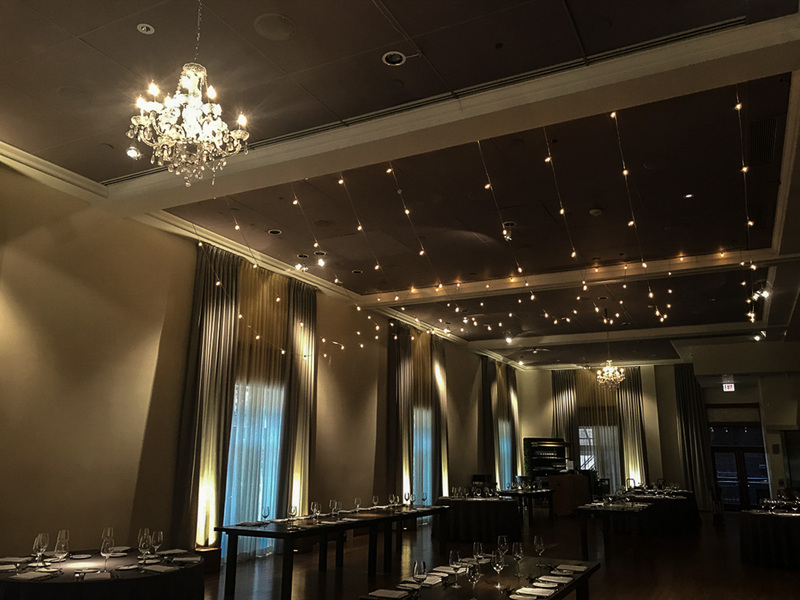 Crystal chandeliers glowed above guest tables for Chris & Amy’s reception. 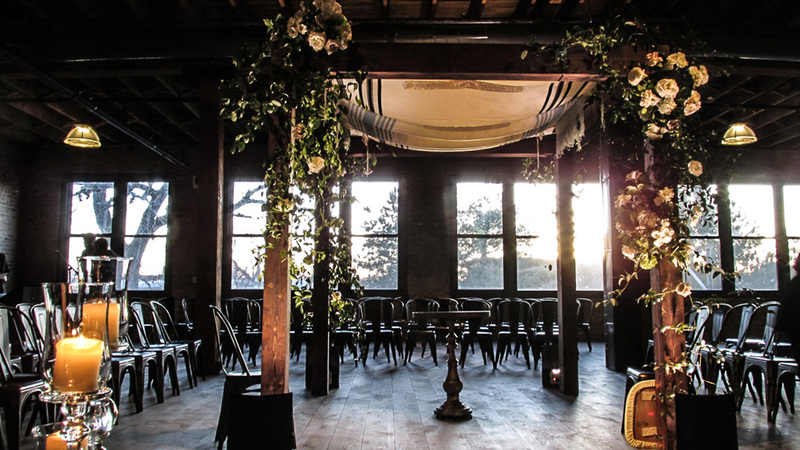 Their dance floor was illuminated with cafe globe lighting. Congratulations to Chris & Amy! Our last event on Sunday was Kara’s bridal shower – and we loved the look of pink & purple paper lanterns!